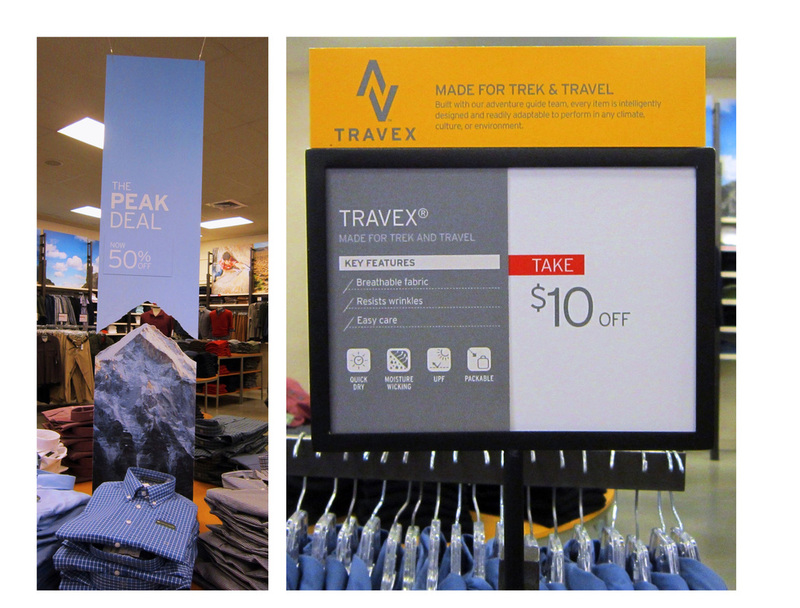 Over the years I have created several new sign packages for both retail and outlet stores. The sign on the left was an outlet package to create a larger presence for the "Peak Deals". The two components are die cut and a library of signs allows stores to easily change out prices. The photo on the right shows the latest sign package where I conveyed technical features in a quick and easy read. The base price sign can function with or without a product sign. The toppers pull together collections across the floorset.